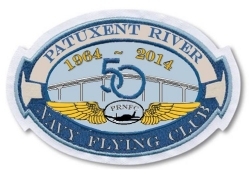 PRNFC is a recreational and instructional flying organization based at NAS Patuxent River in Lexington Park. Membership is open to all active duty, reserve, and retired military, Civil Air Patrol, civil servants, DoD contractors, and their immediate families. If you are a certified pilot, or interested in learning how to fly, join the PRNFC! The club meets on the second Tuesday of each month at 5:30pm, at the clubhouse (Bldg 336 on base behind the post office). Visitors are welcome to attend. For more information contact the club at 301-862-1110. The club manager is usually in the office on weekdays from 1230 to 1400. The objectives of PRNFC are to provide an off-duty, voluntary educational opportunity for base personnel to develop skills in aeronautics including piloting, navigation, mechanics, and other related aero sciences. We provide an opportunity for naval aviators to maintain pilot proficiency skills while assigned to non-flying billets, encourage awareness and appreciation of aviation requirements and techniques, provide a facility designed to assist in meeting the recreational needs for low-cost, safe, light aircraft operations, and provide a social program in the interest of promoting club activities and morale. Civil Air Patrol, the official Air Force Auxiliary, is a nonprofit organization. It performs more than 85 percent of inland search and rescue missions in the continental United States as tasked by the Air Force Rescue Coordination Center at Langley AFB, Virginia. Volunteers also take a leading role in aerospace education and serve as mentors to America's youths through CAP Cadet Programs. Civil Air Patrol's Cadet Programs provides a structured program for youth, from sixth grade through age 20. The program encompasses 16 achievement levels that include study in four areas - aerospace education, physical training, leadership, and moral and ethical values. Upon completion of each achievement, the cadet earns increased cadet rank, decorations, awards, eligibility for national and international special activities, and an opportunity for flight and academic scholarships. For more information about Civil Air Patrol programs please call 1-800-FLY-2338.